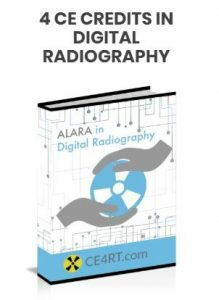 This article discusses continuing education requirements for radiologic technologists working in Arizona. Radiologic Technologists working in Arizona must complete continuing education activities to maintain their certification. Compliance with CE requirements needs to be demonstrated at the time of license renewal. Being up-to-date with ARRT* or NMTCB certification is equivalent to compliance with state requirements. Effective August 3, 2018, House Bill 2257 made the Arizona Department of Health Services Bureau of Special Licensing (BSL) directly responsible for the certification of radiologic technologists. This was previously under the purview of the Medical Radiologic Technology Board of Examiners (MRTBE). Beginning in 2015, new rules of certification apply to techs registered in computed tomography (CT). They must demonstrate two years of documented CT experience with 12 hours of CT-specific education. Certified Nuclear Medicine Technologist (CNMT): 24 hours every 2 years. Certified Therapy Technologist (CTT): 24 hours every 2 years. Computed Tomography Technologist: 24 hours every 2 years. Certified Radiologic Assistant (CRA): 50 hours every 2 years. Certified Mammography Technologist (CMT): 24 hours every 2 years with at least 8 being mammography-specific or 15 mammography-specific hours every 3 years per MQSA. Certified Practical Technologist in Podiatry (CPTP): 2 hours every 2 years. Certified Practical Technologist in Radiology (CPTR): 6 hours every 2 years. Practical Technologist in Bone Densitometry (PTBD): 2 hours every 2 years. Certified Practical Technologist Unlimited (CPTU): 24 hours every 2 years. Our curriculum meets the requirements for both Arizona State and ARRT* CE compliance at once. This is a complete package of courses to meet the needs of Arizona X-Ray techs (except CT and mammography). This includes full and limited licensees. The courses are also accepted by ARRT*. 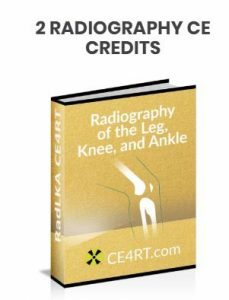 The bundle contains ALARA in Digital Radiography (4 CE credits), PACS and Digital Radiography (18 CE credits), and Radiography of the Leg, Knee and Ankle (2 CE credits). This adds up to a total of 24 CE credits. This bundle is a quick, easy, and convenient way to complete your Arizona X-ray CE requirements. Technologists licensed after January 1, 2011, are subject to ARRT* structured education requirements. The RT receives a list of targeted learning opportunities. These CE activities are identified by the self-assessment survey. They determine which CE subjects the tech must complete to comply with CQR (continuing qualification requirements) every 10 years. Based on this new system, CE requirements may vary. You may need to take additional courses to meet State and ARRT* requirements. The specific regulations for CE for Arizona X-Ray techs can be found in the Arizona Revised Statuses Title 32, Chapter 28 and Arizona Administrative Code Title 12, Chapter 12. Proof of completed CE credits must be retained for 4 years. You will need to make proof of CE compliance available to the Arizona Department of Health Services upon request. Except as provided in section 32-4301, a certificate issued under this section is valid for two years. The department may renew a certificate for two years on payment of a renewal fee established by the director and submission of a renewal application containing information the department requires to show that the applicant for renewal is a technologist in good standing. The applicant for renewal shall also present evidence satisfactory to the department of having completed the required continuing education in radiologic technology within the preceding two years. If a radiologic technologist is certified by the American Registry of Radiologic Technologists or Nuclear Medicine Technology Certification Board, that person must satisfy the continuing education requirements of this subsection by providing the department with evidence of the technologist’s good standing and current certification with that registry. A certificate holder who fails to renew the certificate on or before the certificate’s expiration as prescribed in subsection B of this section shall pay a penalty fee of fifty dollars for late renewal. A certificate holder who does not renew a certificate within thirty days after the certificate expires and who continues the active practice of radiologic technology without adequate cause satisfactory to the department is subject to censure, reprimand or denial of right to renew the certificate pursuant to section 32-2821. On the request of a certificate holder in good standing, the department shall cancel a certificate. The department shall waive the renewal fee if a certificate holder submits an affidavit to the department stating that the certificate holder is retired from the practice of radiologic technology or wishes to be placed on inactive status. 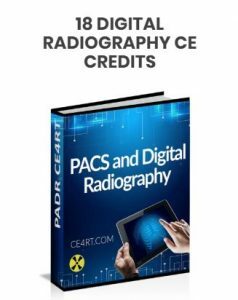 A retired or inactive technologist who practices is subject to the same penalties imposed pursuant to this chapter on a person who practices radiologic technology without a certificate. The department may reinstate a technologist on retired or inactive status on payment of the renewal fee pursuant to subsection B of this section.